My name is Andrew McCann – thanks for visiting my personal blog. 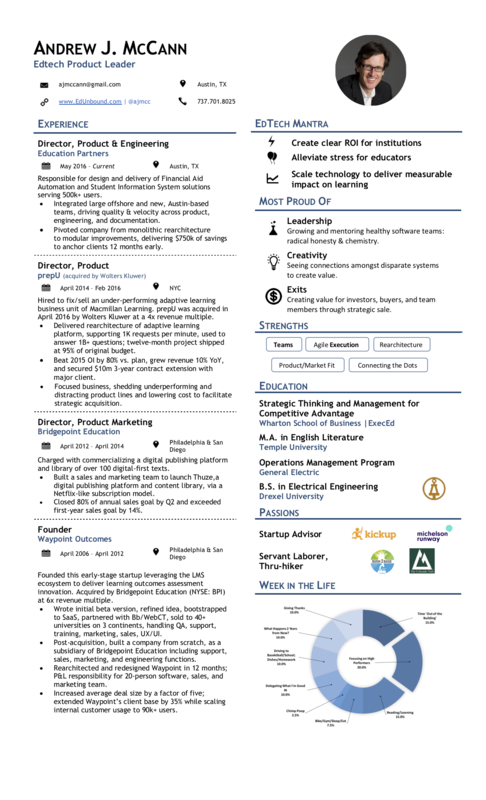 I am passionate about product design, lean/agile, and specifically e-learning technology and its potential to dramatically impact education outcomes, grow GDP, and save the world. Technology (LMS, Wikis, mobile) is directly responsible for the changes and innovation in higher education, such as they are. My blog focuses on education reform, especially related to technology and product design. I bring an outcomes-centric view to education – a bias towards higher-order skills and employability/creativity. I am an engineer with a creative writing degree. An Englishman without an accent. A believer in “the fundamental interconnectedness of all things,” to quote Douglas Adams, and servant leadership through the power of vulnerability. Boy, I’ve learned a lot about vulnerability in the last couple of years. Through some bad (good?) luck and stubbornness, I missed web 1.0 in the late 90s, despite a clear love of computers and software. I relocated to Austin, Texas in 2015 determined not to miss my second chance. I ditched a first corporate career at GE to return to graduate school, not for an MBA as I’d planned, but for an English and Creative Writing program. I grew out my hair. 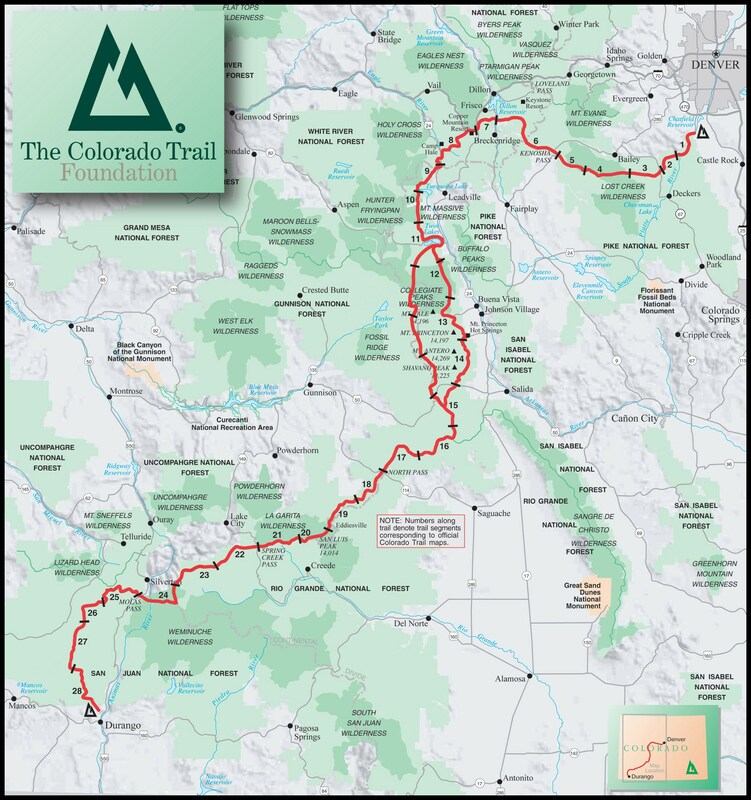 I spent a summer hiking around the UK, then walked from Denver to Durango along the Colorado Trail. I learned the blessed power of a single, focused goal. I had a short story chosen for an anthology by Carol Shields and attended Breadloaf on a scholarship. I failed at making writing my profession. I stumbled into a full-time, non-tenure track position teaching first-year engineering students – and found the synthesis of interests that fuel me to this day: technology and education. Over 10 years I learned a lot about teaching, largely through trial and error. Since 2009 I’ve been building software as a profession and have had the good fortune to learn from many engineers and product leaders. I have pronounced views on some aspects of education. I think student loans for STEM programs should carry a negative interest rate (assuming a 3.5 GPA). I believe everyone should learn to code. I obsess over changing the incentive/reward structure of higher education. I periodically search LinkedIn for my old students, ten years of them, wondering what happened to those stressed, happy/unhappy faces I had the honor of meeting during their first days as college students. Yes. I’m obsessed with the feedback process, specifically on meaningful, authentic work. Which often means writing. Writing is just the clearest example, though. I founded 11trees.com and am building solutions to help students create better work in the first place and power 10x better feedback from all involved. 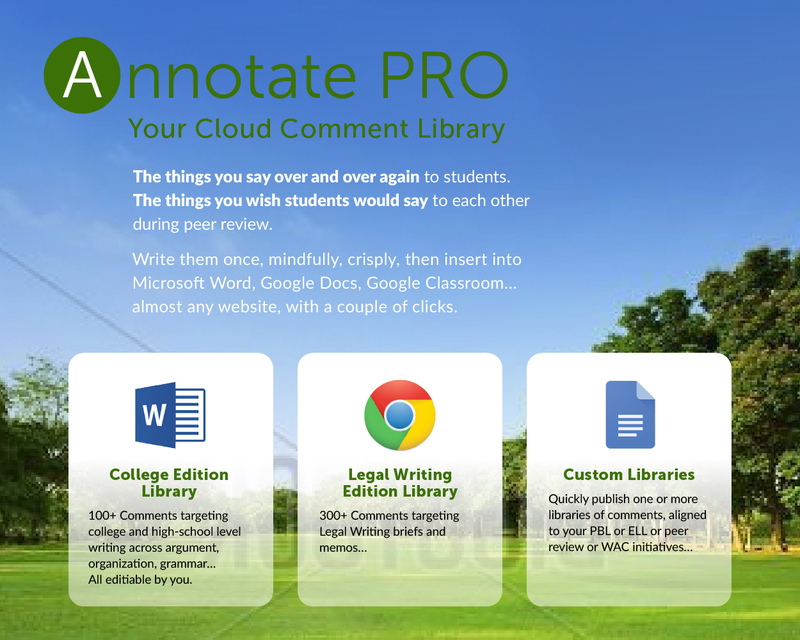 I launched 11trees’ first solutions in June 2017 – apps for Microsoft Word 2016 and Google Chrome, optimized for the platforms educators love: Office, Canvas, Google Docs, Dropbox etc. Get ’em while they’re hot! And sign up for 11trees’ updates to learn about our curriculum plans and long game around making feedback accountable. Now that would be a revolution. PrepU, now a solution owned by Wolters Kluwer Health, recently delivered its one billionth question to students – proof of the power of fantastic content, an excellent adaptive algorithm, and a resilient platform (and engineering team!). 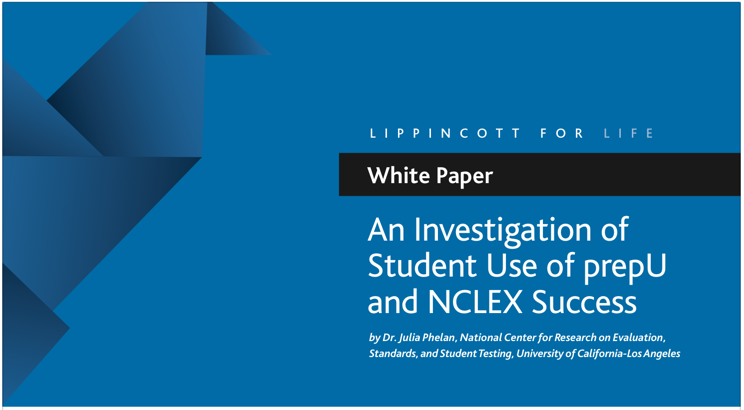 This white paper, authored by Dr. Julia Phelan, illustrates the efficacy of prepU. The Waypoint team and I had the luxury of starting over – rearchitecting the original solution I had built. We got pretty far down the road to nirvana: fast, efficient grading that created rich, personalized feedback for students, scale for the institution, and amazing data on learning outcomes aggregating behind the scenes. Waypoint failed in the marketplace, although it is still a mission-critical aspect of Ashford University’s teaching and learning efforts. We were asking/requiring too much change on the part of educators; they were willing to “do assessment” in order to satisfy the requirements of accreditors like HLC and SACS, but developing detailed rubrics and integrating them into curricula was too much for most schools. 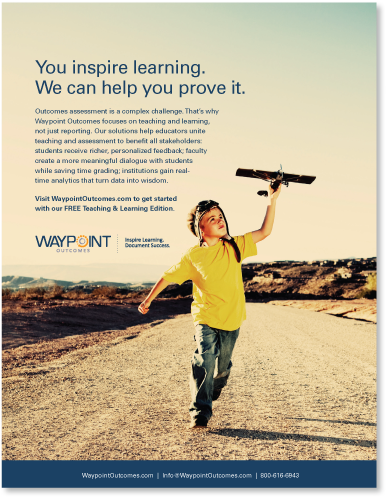 Waypoint needed a broader solution set, covering not just rubrics but bringing its competency-based architecture to course evaluations and exams. Ironically, those capabilities were baked into the first version of Waypoint. As Waypoint Outcomes’ leader, I didn’t move quickly or convincingly enough to muster the resources required to execute on this vision. My views on assessment haven’t changed much:) The world needs critical thinkers who can communicate extremely well, particularly using the written word. Much of education, whether university or K12, focuses on multiple choice testing. Do we really need another lecture? Or might some one-on-one time with a professor, who learns a student’s name, reviewing their work in the field, be of more value in the long run? How can employers push for higher standards for the work that only flows to them through the black magic of a GPA? I hosted a webinar, in partnership with The Chronicle of Higher Education, featuring multiple years of data collected at Drexel University using Waypoint. Over 900 leaders from higher education attended, an indication of the Chronicle’s reach and also the interest in learning about student learning. Click the button below to download a white paper authored by Dr. Scott Warnock detailing his multi-year work with Drexel’s LeBow College of Business. There is still more analysis coming from the Drexel team; a forthcoming article in The Journal of Business and Technical Communication will summarize the entire dataset (2006 – 2013). Say no more! Six weeks, most of it above tree line! Nothing to do but walk 10 to 20 miles? Still hope to go back, this time with a couple of Llamas and my family. The Llamas are to carry the butter and ice. My situation is the classic case for the 21st Century: when I started college the E-learning industry did not exist (unless we count those crazy phone systems in France and Australia in the 80s). You couldn’t be “trained” to work in higher education technology unless you were going to repair VHS machines. 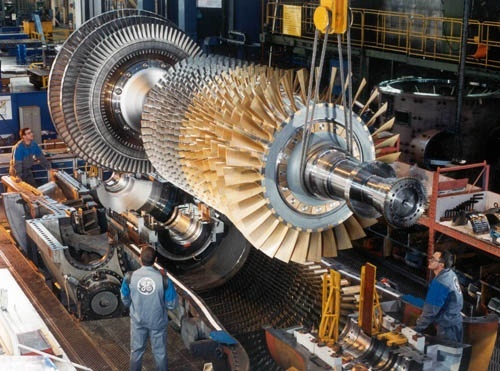 I graduated with a BSEE from Drexel University and worked for General Electric for five years. During college (LOVE cooperative education) I worked in a a steel mill, a TV screen factory, and a mainframe computer plant. None of those companies exist anymore. I learned a lot from manufacturing and liked the interdisciplinary nature of the work…people mattered, big things got made (trains, turbines, TVs, mainframe computers, plate steel). 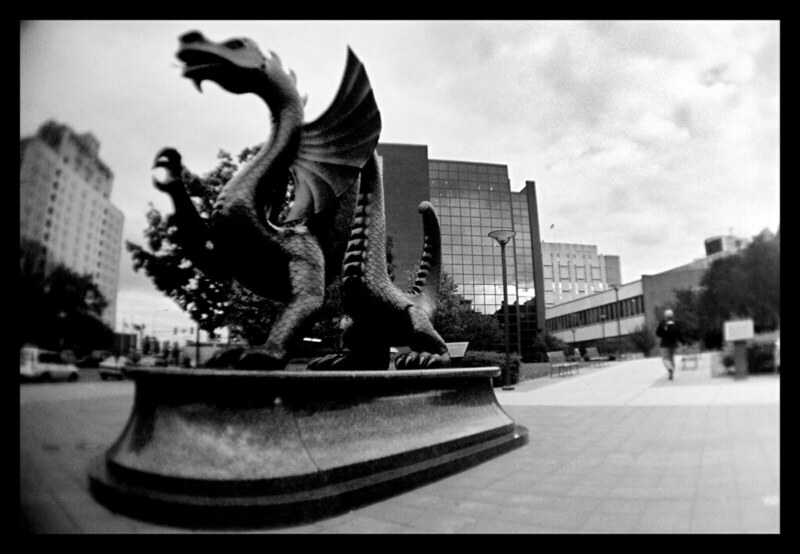 I left GE to return to Temple University for an MA in English Literature and Creative Writing. Yup. I was convinced that, with my degree and $1.50, I could get a one-way subway ride. I graduated and began teaching in Drexel University’s ground-breaking interdisciplinary undergraduate engineering and humanities program. This was the late late 90s, and Drexel was booming. The school encouraged ‘hybrid’ courses, because classroom space was in such high demand. So I taught 1.5 hours in a classroom and 1.5 hours online for each of my courses – and was exposed very early to elearning technologies. Like many engineers I began tinkering with ways to improve processes. I was frustrated with the time it took me to create effective feedback for my students (at times over 100 per term), and I grew to question how ‘effective’ my feedback really was. I wanted to be able to create more personalized feedback for my students and understand whether I was having a positive educational impact. Were the smart kids getting smarter (or just receiving a rubber stamp)? Were the kids who struggled gaining on their peers and against my standards? I talked to many other teachers, observed their processes, and saw a wide variety of approaches. Some spent hours painstakingly commenting on the smallest grammatical errors, some wrote little more than “B+, nice work” on papers before returning them. Students seemed cynical about the value of comments, and wanted only to turn to the last page of their work to see a grade. Then they threw their paper (and the comments) into the trash. I played out my own theories by experimenting with software solutions. Fast-forward a year or two, and the result of my work was Waypoint Outcomes, web-based software that helps structure feedback to learners without reducing the process to ‘canned text’. Waypoint, crucially, helps teacher squeeze data from their feedback so they can adjust curricula quickly and individualize teaching. I founded a company to commercialize the software and by 2006 I was working full-time, while teaching full-time (! ), on the software. We integrated Waypoint with Blackboard and Moodle, which provided a terrific runway for our scrappy, innovative company.